I LOVED baseball growing up – huge NY Mets fan. Woke my daughter up in 1986 at 1 am when they staged their miracle comeback against the Boston Red Sox. Went to the All Star Game in Detroit in 1971. Saw 6 future Hall of Famers hit home runs: Clemente, Aaron, Bench, F.Robinson, Killebrew, Jackson. Reggie Jackson launched a shot that almost went out of the stadium. I met my wife in Galveston, Texas on a beach project with Campus Crusade for Christ that neither of us were supposed to be at – but that God made happen. My undergraduate degree is in Biomedical Engineering. I use it everyday as I do pastoral work. I was the spelling bee champ of the 5th grade. To this day it drives it me crazy to see a word spelled rong. I have had facial hair since 1980. A friend of mine and I traveled around Europe when we graduated from college and grew mustaches. I haven’t shaved mine since. My first job was working in a Baskin Robbins while in high school. I learned to make a fantastic banana split. At a youth camp in West Virginia about 12 years ago I jumped over 7 standing people in a line at one time. I think Jason Palmer was one of them. The BEST steak I have ever had was at a restaurant in Bratislava, Slovakia called The Three Musketeers. 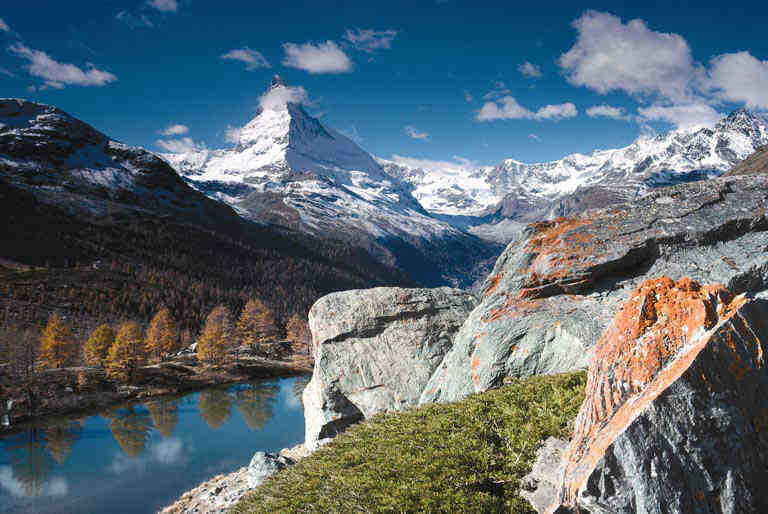 The most beautiful place that I have ever traveled to is Zermatt, Switzerland. I’m going to take my bride there one day soon. I was at the 1978 Super Bowl in New Orleans, La when the Dallas Cowboys (with Roger Staubach and Tony Dorsett) beat the Denver Broncos. To get into the game I scalped a ticket outside the stadium for $50. Do you know how much it costs to go to a game nowadays? My favorite golf tournament is The Masters. I grew up 20 miles from the course and have probably been to the tournament 30 times. When I was a kid I managed to get Jack Nicklaus’ autograph 3 times. I know 1,3, and 10. Very good information. The facial hair…it’s like a member of your family…it has a birthday, birth story, IT’S ALIVE!!! I actually knew most of these…oh my gosh, I still remember Linda calling home telling Mother she had met a nice Jewish boy. I was sitting on the couch in the den and she was on the phone at the kitchen desk. Did we meet you though when we came to Texas?